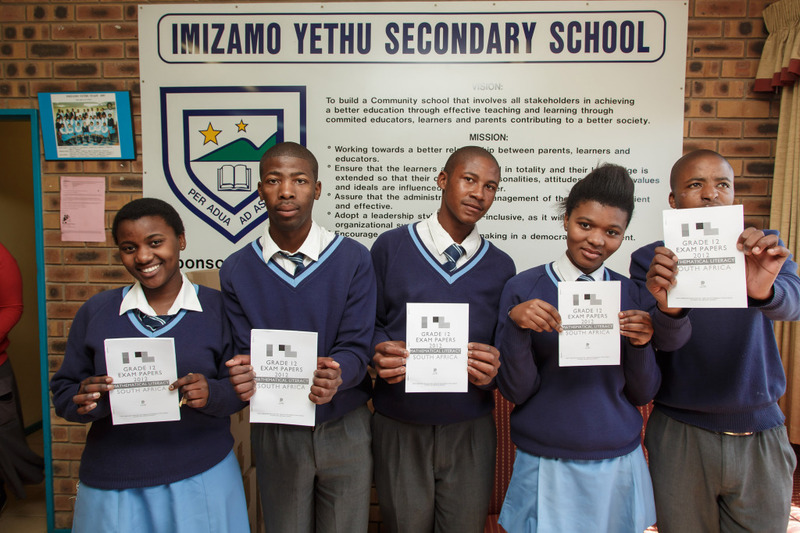 Blitsdruk George brings exam success to Imizamo Yethu High School! A Paperight outlet has made a great commitment to improving matric success in their community. Blitsdruk George teamed up with Paperight earlier this month to equip Imizamo Yethu High School with invaluable matric study resources, ensuring that the school’s learners have the best chance of passing the most important exams of their lives so far! Blitsdruk George has sponsored R10 000 towards purchasing the licenses for Maths and Maths Literacy past matric exam papers, as well as Learn Xtra study guides for these two subjects, to give to matric students of Imizamo Yethu High School. In addition, Blitsdruk has also sponsored the cost of printing the 795 titles for the school. With this partnership, the learners at Imizamo Yethu have an even better chance of achieving their matric ambitions. If you are would like to get involved by adopting a school and supplying them with much-needed educational supplements, or would just like to find out more about our programme and what it takes, please contact us at team@paperight.com or 021 671 1278. Previous Previous post: Need matric past papers? Paperight is your partner for exam success! Next Next post: Varsity matters!